Purple ocher sea stars prey on mussels. Climate change will deal clams, mussels, and other marine bivalves a double whammy. 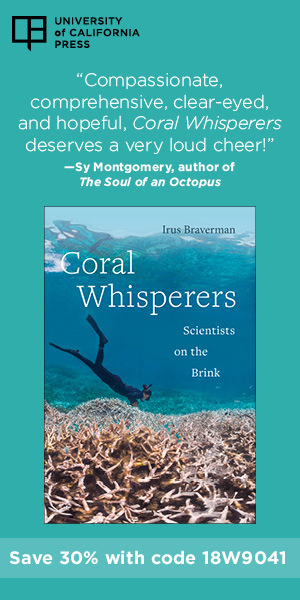 Biologists already expect them to have trouble making their shells because elevated carbon dioxide (CO2) levels will acidify seawater. Now it seems they’ll also have to contend with brawnier predatory starfish. 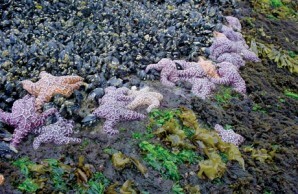 Bivalves are the preferred prey of the purple ocher sea star (Pisaster ochraceus), a familiar denizen of the intertidal zone along the Canadian and American west coast. Curious to see if the predator would suffer as much from global warming as its prey, Rebecca A. Gooding, her graduate advisor Christopher D.G. Harley of the University of British Columbia in Vancouver, and a colleague took purple ochers to the lab and measured their growth under elevated temperature and CO2levels that are likely to occur by the end of the century. Surprisingly, the animals actually grew faster than they did under normal conditions.